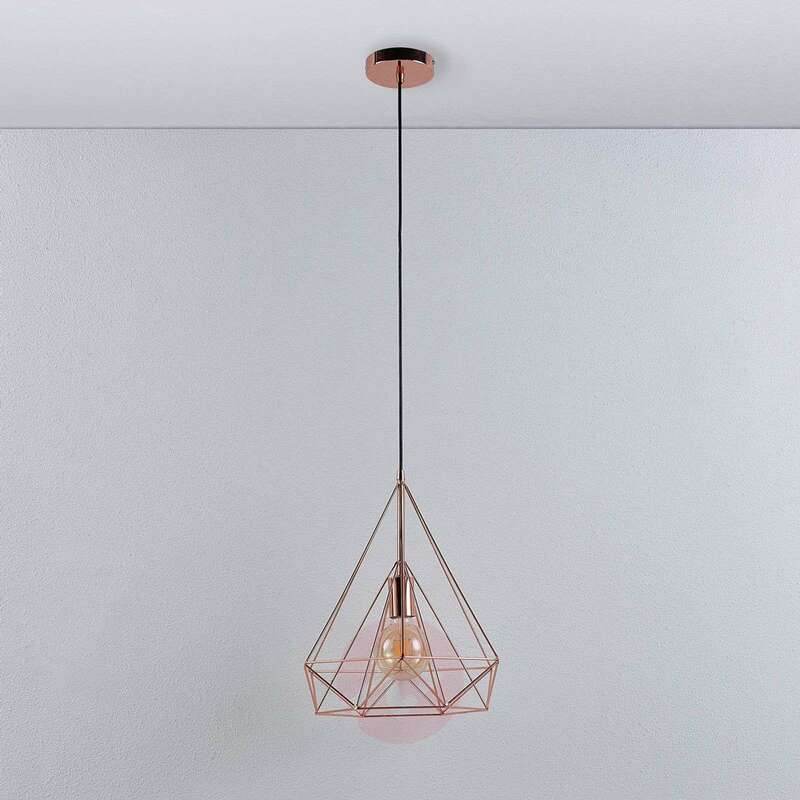 Jossa oozes modern style and is very reminiscent of extraordinary design objects. 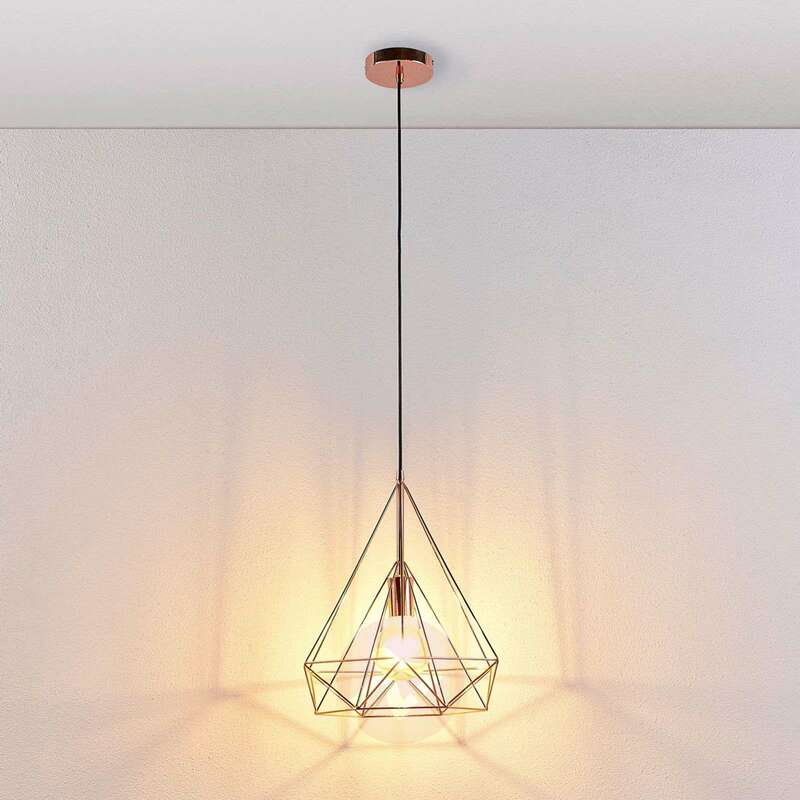 The lampshade – which actually comprises several different elements – exudes a particular sense of lightness, as it offers a clear view of the bulb within. 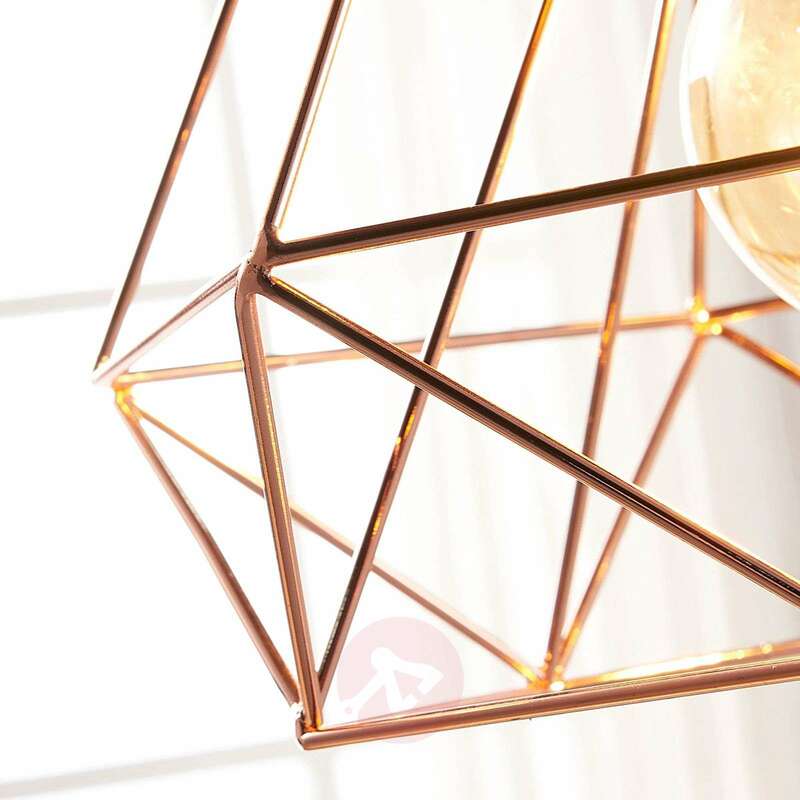 The backbone of the lampshade is formed by delicate pieces of metal, which combine to create a cage-like structure. 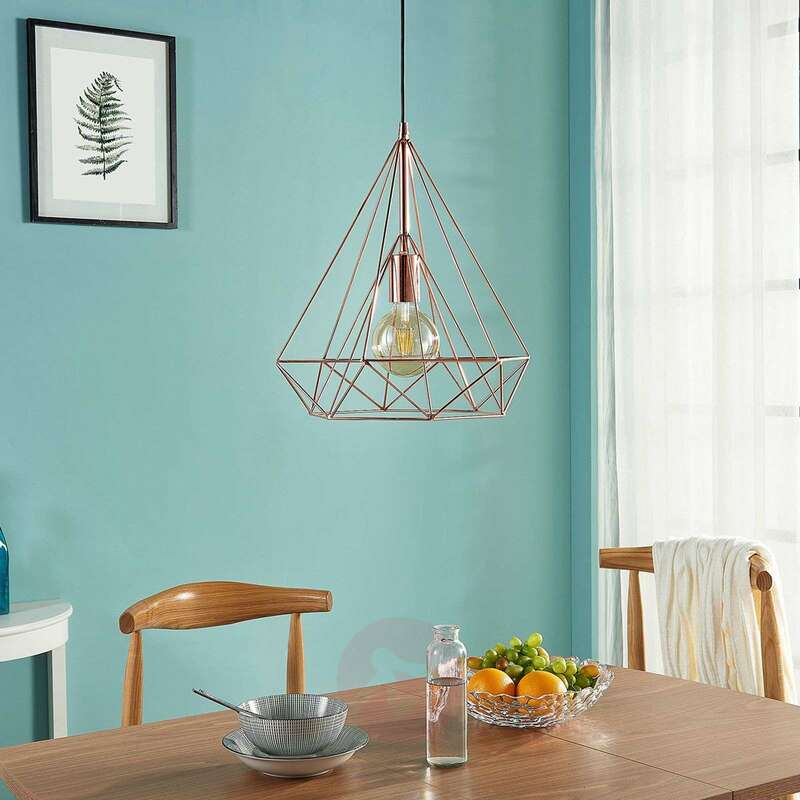 Each piece of metal comes in high-gloss copper; thus making the Jossa cage pendant light a real eye-catcher. As the bulb is very visible, care should be taken when choosing the E27 bulb: After all, it represents part of the overall design of the light. 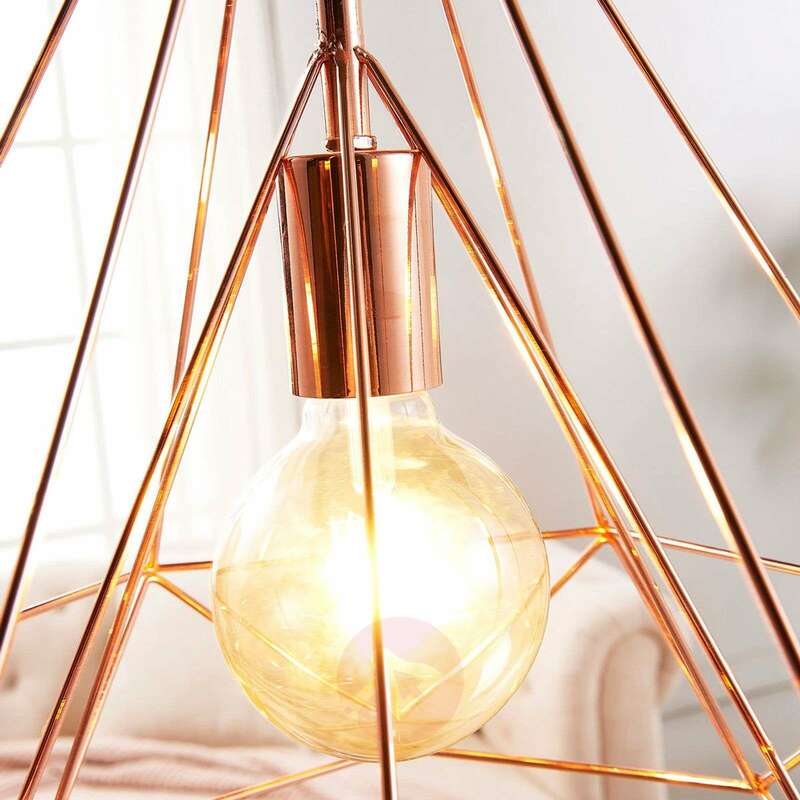 If you wish to avoid traditional light bulbs or halogen lamps, which can consume a great deal of electricity, you can instead opt for filament lamps with LED technology: They often have a lovely design like traditional light bulbs but are extremely efficient thanks to the low energy consumption and good luminosity. Can u tell me the measurements for the cage please?? The cage has a diameter of 36 cm and a height of 50 cm. Hello, is this adjustable i.e can I shorted the distance between the pendant and the ceiling? 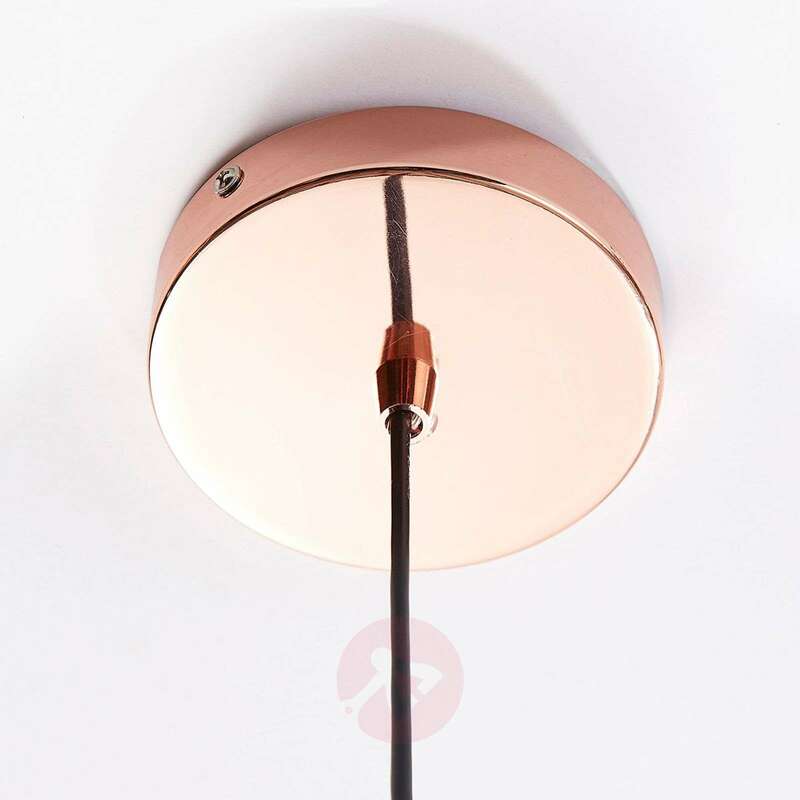 Yes, upon installation please pull the cable into the ceiling fitting until the light hangs at the right lenght. Can you install a 100w bulb? In the event you insert a Halogen light bulb it should not exceed the recommended 60 Wattage. 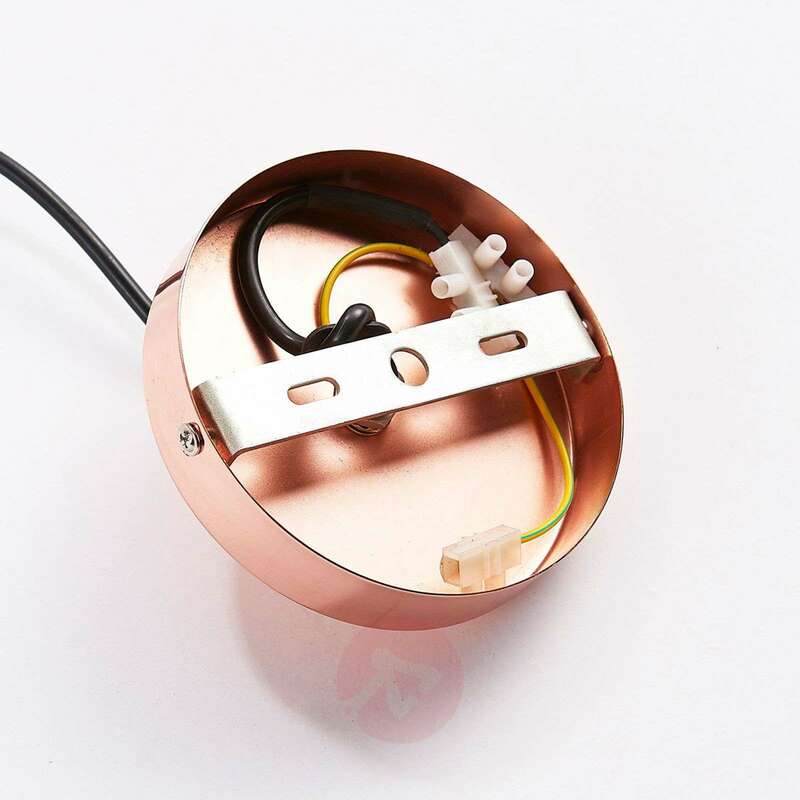 When installing an LED Light bulb you will be able to install a higher wattage, obviously you will have to look at the Luminous flux and colour which will determine the brightness of the light bulb and not the wattage. The wattage is merely referring to the power consumption. For any further assistance please do not hesitate to contact our dedicated sales team. 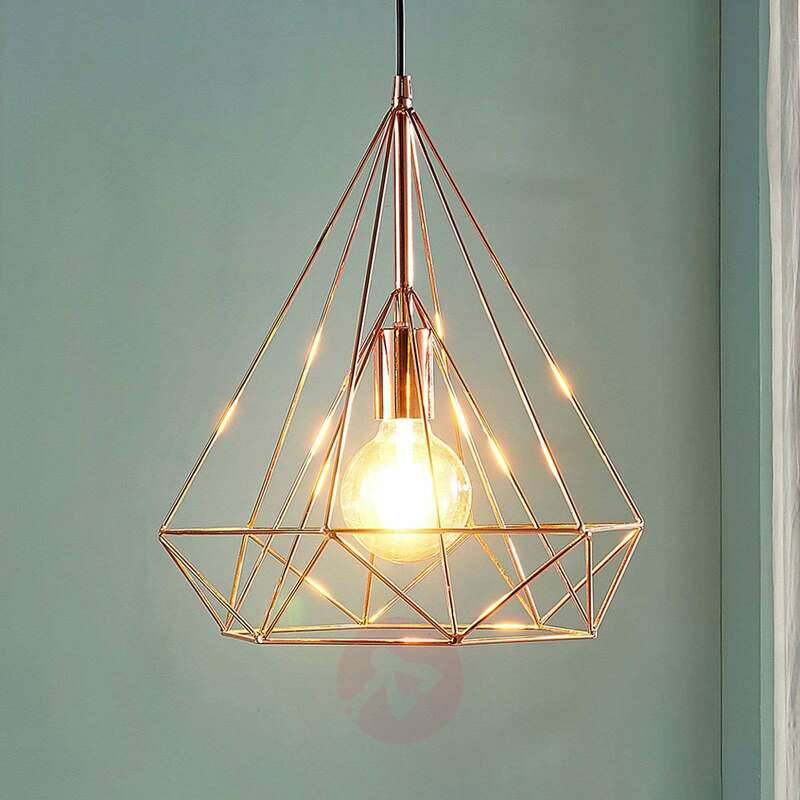 I bought this for our upstairs landing to replace an ugly old light fitting, and it’s wonderful. I bought a large bulb with a visible filament from the same website and it casts a beautiful glow, it’s less bright than the old light fitting as the max wattage allowed with this one is 60W but this means the light isn’t too bright in shining through our bedroom doors. 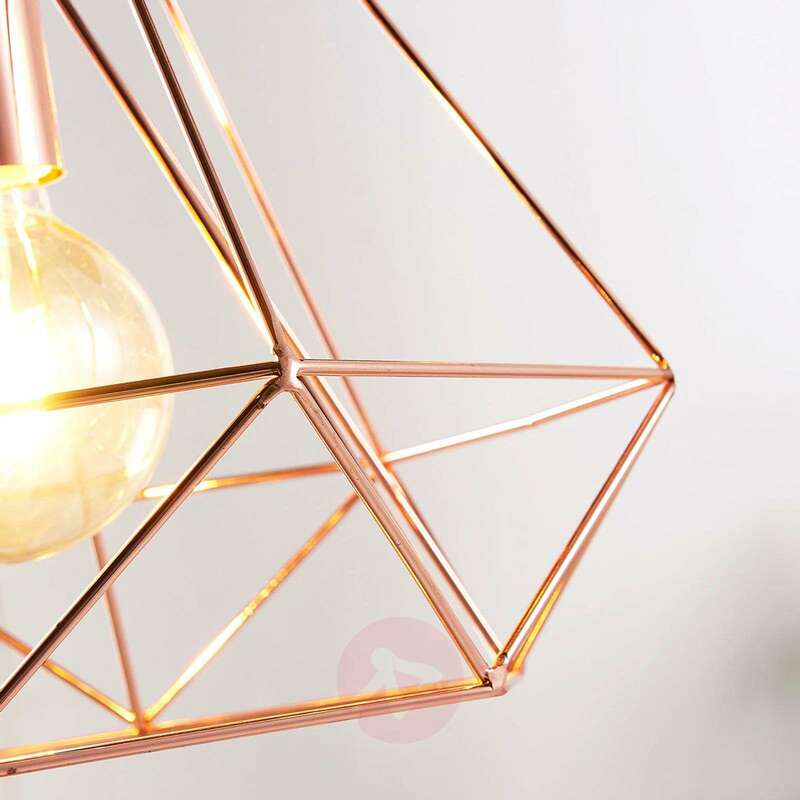 The copper finish is beautiful and stylish. I bought this last month for our sun room and it's perfect blend with room settings. Very satisfied with results and light effects. It also looks good at daytime w/out lights as well.